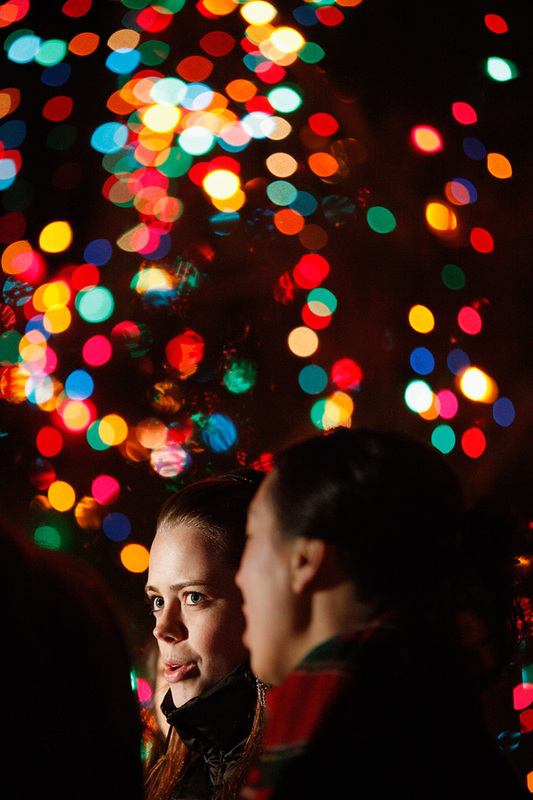 Members of the Princeton University Tigressions carol at the "Holiday A Capella Jam" on the Palmer Square Green. The all-female chorus was founded in 1981 by a group of Princeton undergraduate women intent on adding a feminine timbre to the university's unaccompanied voice tradition. Amazingly, Princeton did not become a coed university until 1969. Several a cappella groups participate in the annual jam as well as the Princeton University Band. There is free hot cocoa, apple cider and magic for all.